- Liu, L L reached on a muffed throw by 2b, bunt (0-0). - Zhao, J reached on a fielder's choice down the 3b line, bunt (0-0); Liu, L L out at second 3b to ss. - Chen, Jia popped up to 1b to pitcher (1-2 BFK). - Xi, K walked (3-2 BBKFBB). - Liu, M flied out to rf to right center (0-2 KS). - Gadbois, T singled to shortstop (0-1 F). - McCleney, H walked (3-2 BBKSBB). - Haeger, L flied out to rf (1-2 KFBF). - McCleney, H stole second; Gadbois, T stole third. - Taylor, N homered to center field, 3 RBI (0-2 SF); McCleney, H scored; Gadbois, T scored. - Landry, B singled to catcher, bunt (0-0). - Sataraka, M walked (3-2 KBFBFBB). - Goler, A walked (3-1 KBBBB); Sataraka, M advanced to second; Landry, B advanced to third. - Sandberg, K homered down the lf line, 4 RBI (3-2 BBKBK); Goler, A scored; Sataraka, M scored; Landry, B scored. - Bowling, N to p for Li, Q. - Davis, R singled to left center (2-1 BSB). - Gadbois, T flied out to rf to right center (3-2 BBKBK). - McCleney, H popped up to ss to left field (2-2 KKBB). - Liu, Y singled up the middle (0-0). 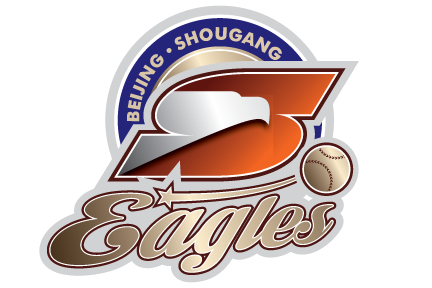 - Cao, Y struck out swinging (1-2 FSBS). - Xu, Q lined out to rf to right center (3-2 BBBFK). - Bowling, N to p for Wang, M.
- / for Bowling, N.
- Bowling, N homered to right center, 2 RBI (2-0 BB); Liu, Y scored. - Liu, L L popped up to ss to left field (1-0 B). - Xi, K to c.
- Haeger, L homered to left center, RBI (3-1 BBBK). - Taylor, N flied out to lf down the lf line (0-0). - Landry, B singled to third base (1-0 B). - Sataraka, M singled to center field, advanced to second on the throw (1-2 BKFF); Landry, B advanced to second, out at third cf to c to 1b to 3b. - Goler, A singled through the right side, RBI (3-2 BKFBBF); Sataraka, M scored. - Sandberg, K walked (3-2 BFBBKB); Goler, A advanced to second. - Davis, R struck out looking (0-2 KFFFK). - Zhao, J popped up to 3b (1-1 BF). - Chen, Jia popped up to 3b (0-0). - Xi, K struck out swinging (1-2 SBKS). - Gadbois, T tripled to right field (1-2 FBK). - McCleney, H doubled to right field, RBI (0-1 K); Gadbois, T scored. - Haeger, L fouled out to lf (1-1 KB). - McCleney, H advanced to third on a wild pitch. - Taylor, N lined out to lf, SF, RBI (2-1 BFB); McCleney, H scored. - Landry, B doubled to left center (0-0). - Sataraka, M singled through the right side (0-0); Landry, B advanced to third. - Goler, A struck out swinging (3-2 FBKFBFFBFS). - Washington,B to rf for McCleney, H.
- Costa, K to cf for Landry, B. - Liu, M flied out to rf (0-0). - Liu, Y grounded out to 3b (1-1 BS). - Cao, Y struck out swinging (1-2 FSBFS). - Gu, N to p for Bowling, N.
- Xu, Jia to 1b for Liu, M.
- Liu, Fei to rf for Cao, Y. - Sandberg, K walked (3-2 BKFFBBB). - Davis, R singled down the lf line (1-2 FKB); Sandberg, K advanced to second. - Gomez, B singled to shortstop (2-2 KSBFB); Davis, R advanced to second; Sandberg, K advanced to third. - Washington,B flied out to lf down the lf line (2-1 BFB). - Haeger, L flied out to rf to right center, SF, RBI (0-0); Davis, R advanced to third; Sandberg, K scored. - Taylor, N homered to right center, 3 RBI (3-1 BBFB); Gomez, B scored; Davis, R scored. - Costa, K tripled to left center (1-1 KB). - Sataraka, M singled up the middle, RBI (1-1 KB); Costa, K scored. - Lahners, K pinch hit for Goler, A. - Lahners, K flied out to lf (3-2 KBFBBF). - Lahners, K to 2b. - Xu, Q popped up to 1b (0-1 S). - Gu, N grounded out to 2b (1-1 BK). - Liu, L L walked (3-2 BFFBBB). - Zhang, Y reached on a fielder's choice to second base (1-1 KB); Liu, L L out at second 2b unassisted. - Xu, J to c for Xi, K.
- Ogle, M grounded out to p (1-2 KFB). - Rivera, R pinch hit for Davis, R.
- Rivera, R hit by pitch (1-0 B). - Gomez, B singled up the middle (1-0 B); Rivera, R advanced to second. - Gomez, B advanced to second on a wild pitch; Rivera, R advanced to third. - Washington,B singled to second base, RBI (1-1 BF); Gomez, B advanced to third; Rivera, R scored. - Taukeiaho, M pinch hit for Haeger, L.
- Taukeiaho, M walked (3-1 KBBBB); Washington,B advanced to second. - Vincent, E pinch hit for Taylor, N.
- Bowling, N to p for Gu, N.
- Vincent, E homered to right field, 4 RBI (2-1 BBK); Taukeiaho, M scored; Washington,B scored; Gomez, B scored. - Costa, K grounded out to 2b (2-1 BKB). - Outon, H pinch hit for Sataraka, M.
- Outon, H singled up the middle (1-0 B). - Lahners, K homered down the lf line, 2 RBI (0-2 KK); Outon, H scored. - Ogle, M flied out to lf (0-0). - Taukeiaho, M to 3b. - Vincent, E to dp. - Ogle, M to c.
- Rivera, R to ss. - Sataraka, M to 1b for Outon, H.
- Chen, Jia grounded out to 2b (1-2 KBF). - Xu, J struck out swinging (1-2 SFBS). - Xu, Jia fouled out to c (0-1 S). - Rivera, R singled to right field (2-1 BBK). - Gomez, B reached on a fielder's choice to third base (2-2 KKBB); Rivera, R out at second 3b to 2b. - Washington,B popped up to 3b to pitcher (2-2 FBBF). - Taukeiaho, M walked (3-2 BBFFBB); Gomez, B advanced to second. - Vincent, E struck out swinging (2-2 BBKKS). - Liu, Y struck out swinging (2-2 BSBKS). - Liu, Fei struck out swinging, out at first c to 1b (0-2 KSS). - Xu, Q popped up to 3b (0-0).